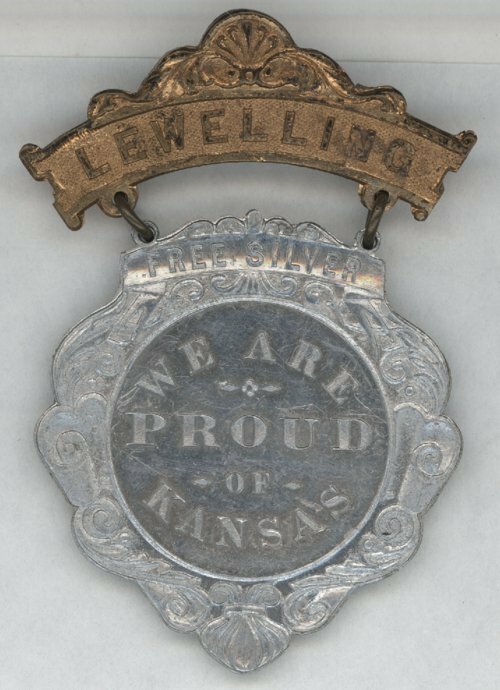 Lorenzo Dow Lewelling (1846-1900) moved from Salem, Iowa to Wichita, Kansas in 1887. In 1892 he was elected and served as the populist governor of Kansas. In 1894 he was nominated for a second term but the platform declared in favor of woman suffrage, which alienated Democratic support, and this, together with the recollections of the stormy scenes attending the opening days of his administration, encompassed his defeat. Beginning in 1896 he served in the Kansas senate until his death in Arkansas City, Kansas in 1900.